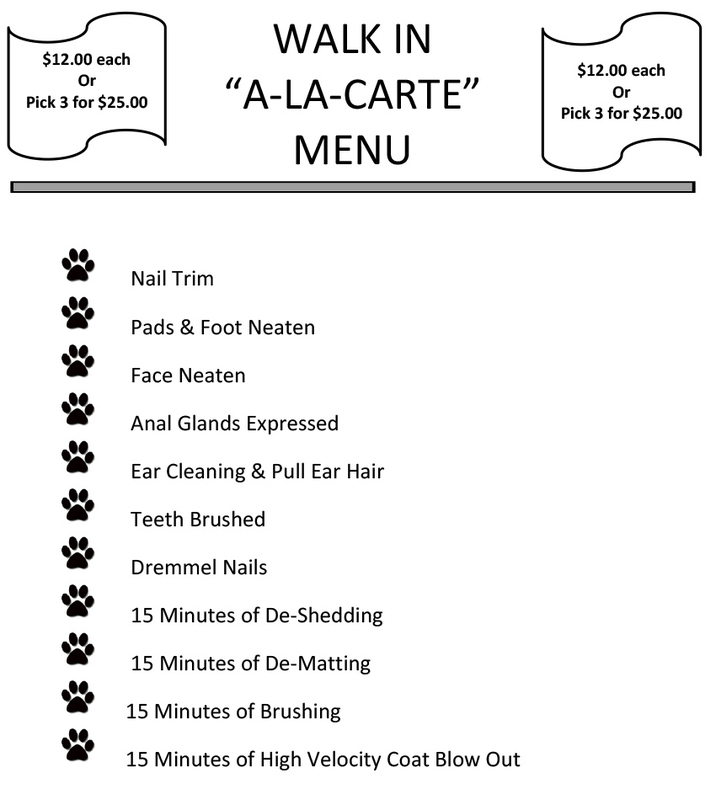 Earlier drop-offs or later pick-ups can be prearranged. 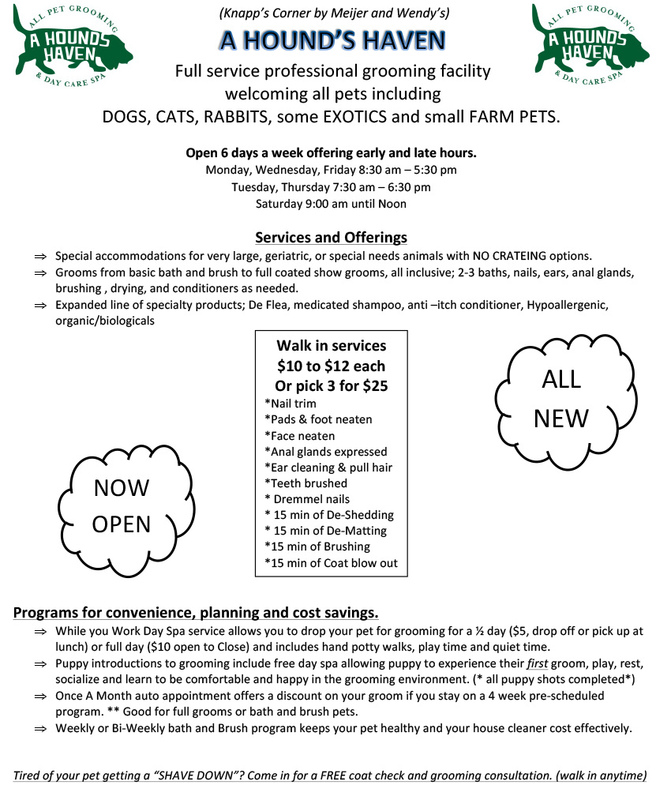 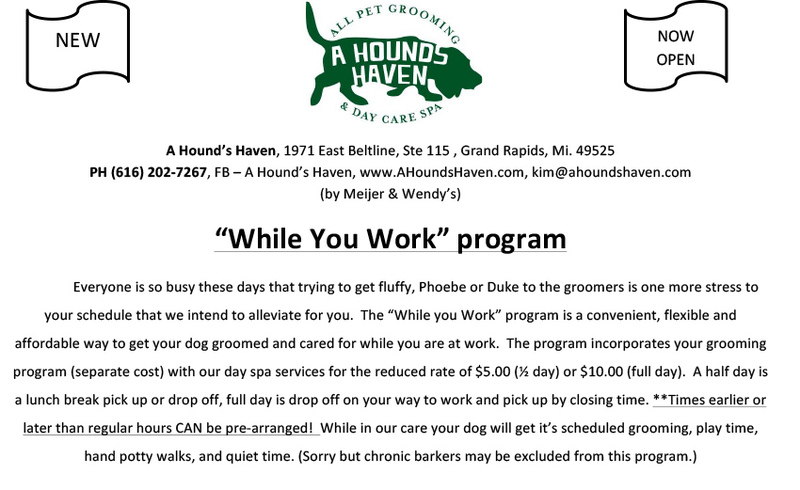 Our Day Spa Program allows you to leave your dog for grooming while you work. 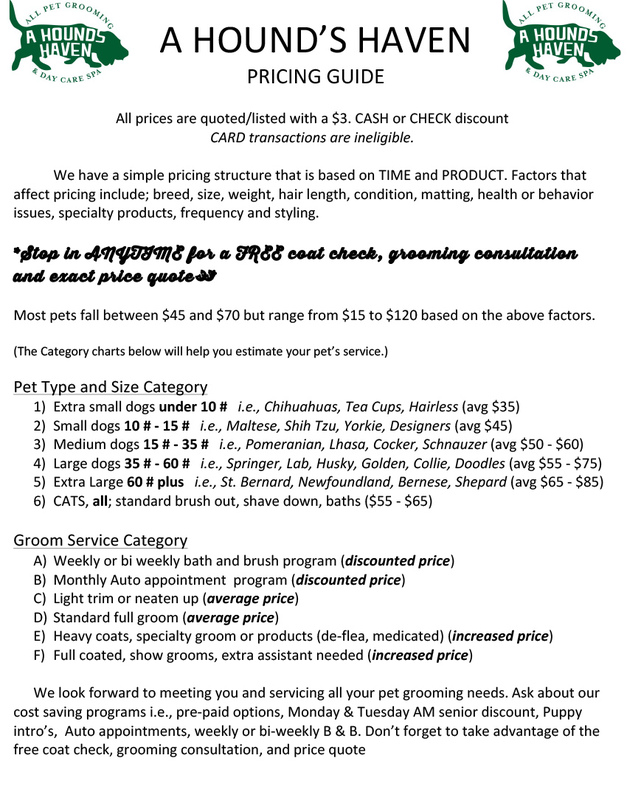 hair condition, matting, health issues, specialty products or style.